Set in 18th century England and America, “A New Beginning” shares a compelling tale of determination and perseverance through the eyes of Anne Spencer. The author explores themes such as family, love, choices, courage, and strength throughout this page-turning tale. This novel aims to encourage and inspire all readers to courageously face their battles in life through Anne’s own story of determination and perseverance. Alyss Morgan crafts a historical fiction novel that is both timeless and enthralling. Her storytelling surely shines through the pages of this book as it explores the ups and downs of a woman who fought to take back the life they deserve after losing it all due to a series of unfortunate events. 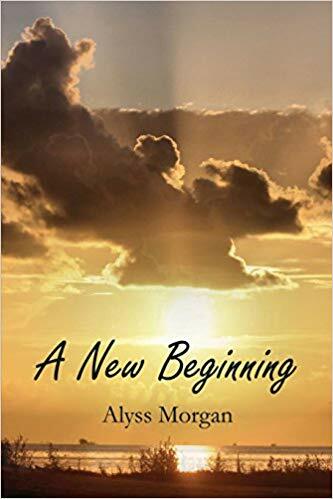 Ultimately, Morgan aims to encourage and inspire all readers to courageously face their battles in life through Anne’s own story of determination and perseverance. “A New Beginning” masterfully narrates an inspiring tale that readers will surely enjoy. It begins during a time when Anne Spencer and her family faced a sudden financial crisis following the debt that her father had incurred and both of her parent’s eventual death. Forced to live a life she and her siblings were never prepared for, Anne decides to start anew in Boston to find opportunities that will turn their life back around and for the better. But then, coming to America was not without its own challenges. She ends up losing her job due to a rumor spread by an English officer and is once again back to where she started. As she works to get her and her family back on track, she meets and falls in love with a man who sees her for who she truly is. Meeting Theo was her light under the tunnel as their love for each other conquers all. See how the story unfolds in Alyss Morgan’s timeless historical novel. Also, don’t forget to catch “A New Beginning” as it joins the upcoming 2019 Association of College and Research Libraries that’s happening on Apr 10-12, 2019. Don’t miss it! Alyss Morgan is an avid reader of romance and historical novels, as well as mysteries and science fiction. She is happily married to her husband, Frank, and they live in Vilonia, Arkansas, where they have been residing for the past thirty years.